It’s true! 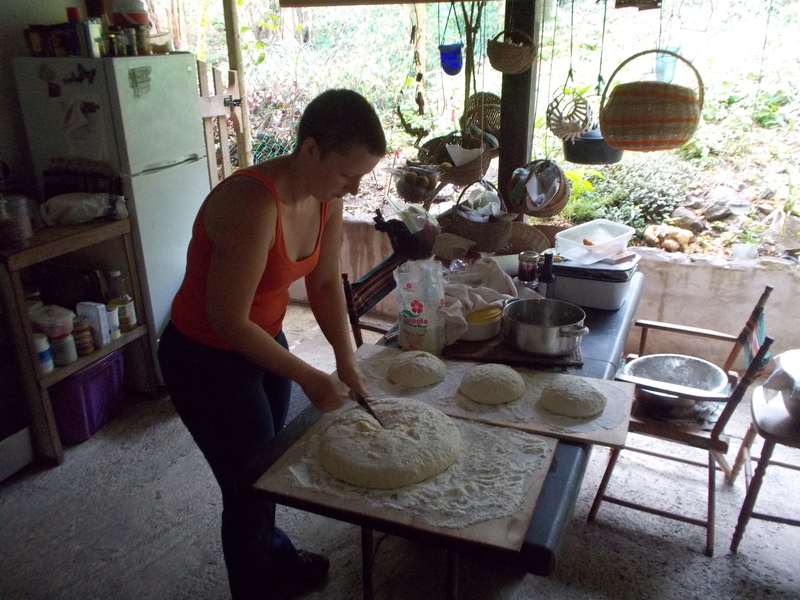 Nidulari Sourdough Bread production is up and running on a weekly basis, having had an extremely successful first run last weekend! 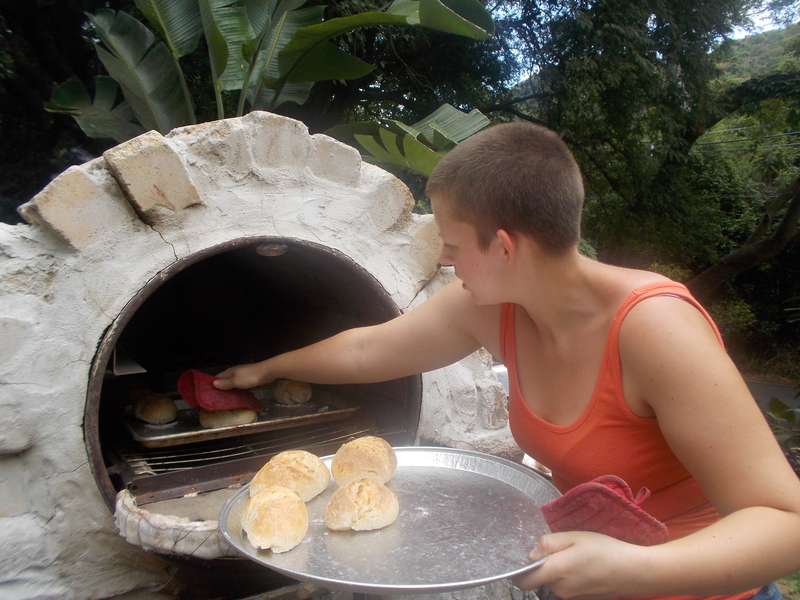 These weekly “bake sales” are helping to fund the Nidulari Tiny House project, and will give an outlet to other surplus from the property: fruit, vegetables, decorative flowers, and other baked goods. In the “Products and Produce” tab above, there is both a bread order form and a listing of other things that are currently available. 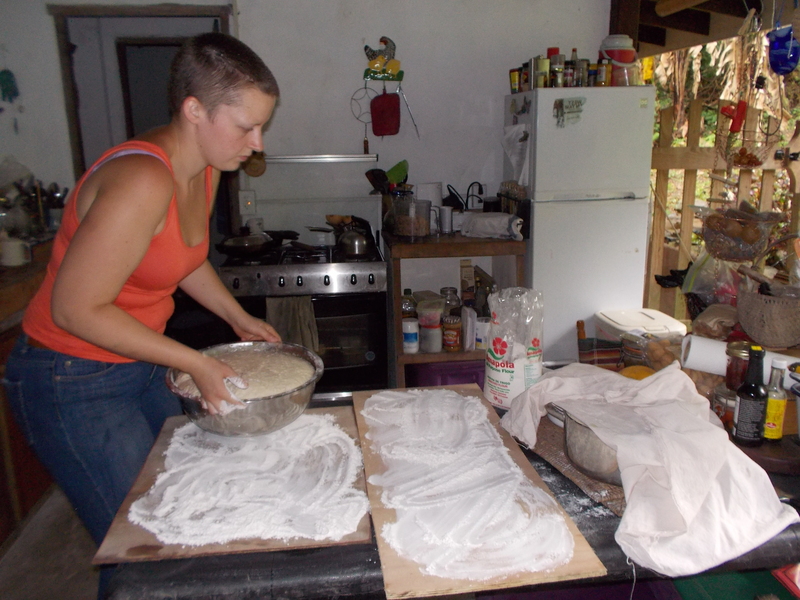 After a day of preparation, only a little panic, and a 5am morning, bread was on the rise by about 7am on Sunday. 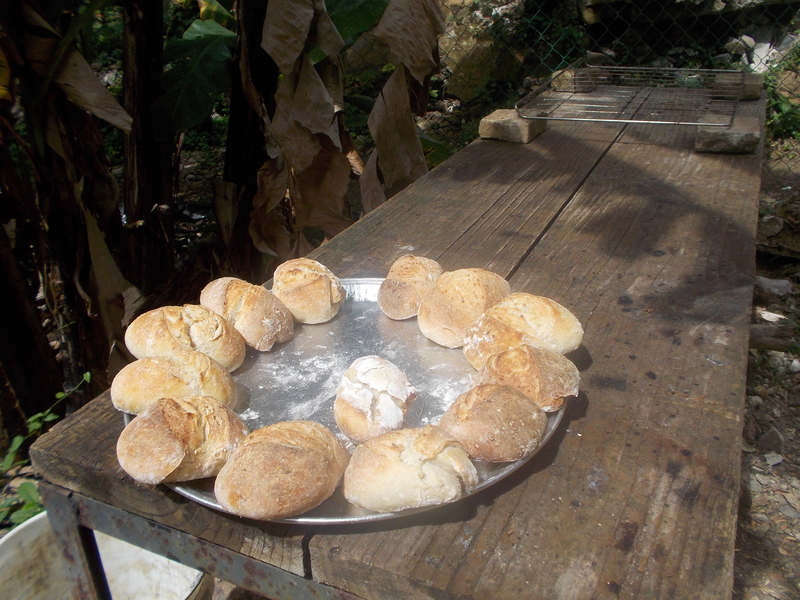 By 9am the bread had been divided into loaves, and those were rising as I lit the fire in the bread oven, with a goal of having the oven at 425deg F by the time the bread rolls were ready to go in. 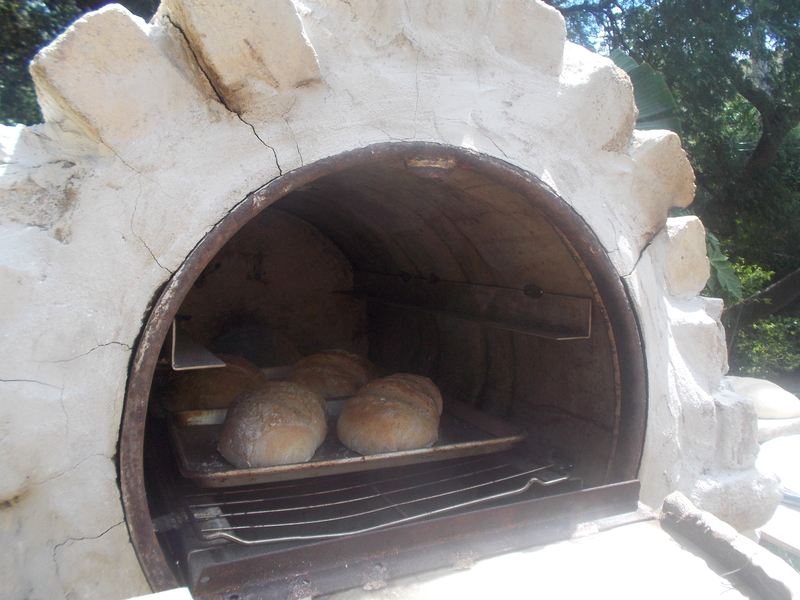 That way the oven should be at around 450deg F by the time the full size loaves go in. 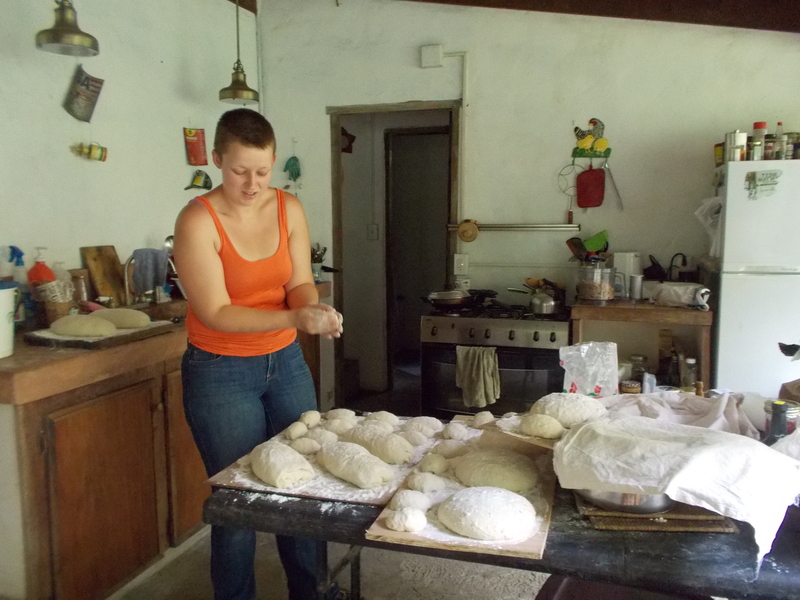 As it turns out, practice will make perfect, but this time my temperature was lagging a little behind the rising time of the bread – not a huge problem, but it created extra work in re-shaping the loaves before they went in. 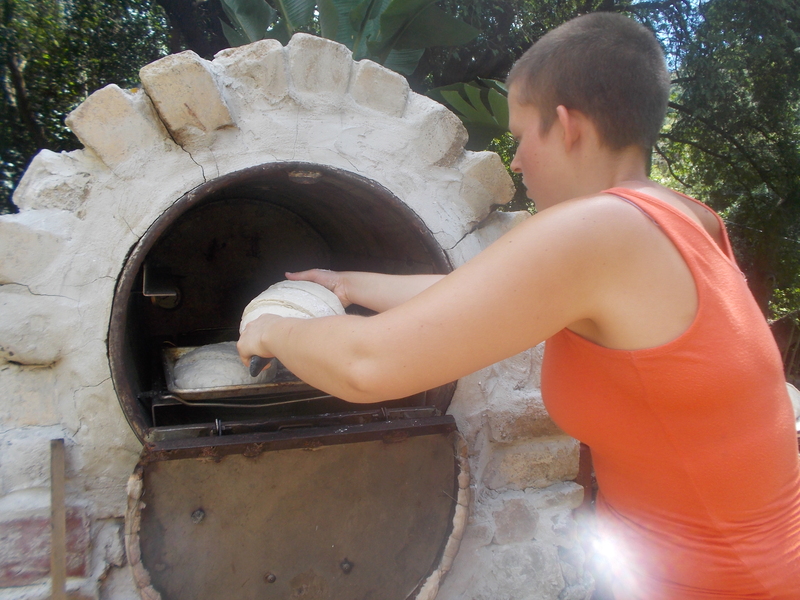 The oven can accommodate two racks, but I removed the upper one for easier access, as I decided it would be easier to do more smaller batches when cooking the bread, rather than trying to fill the entire oven at once. 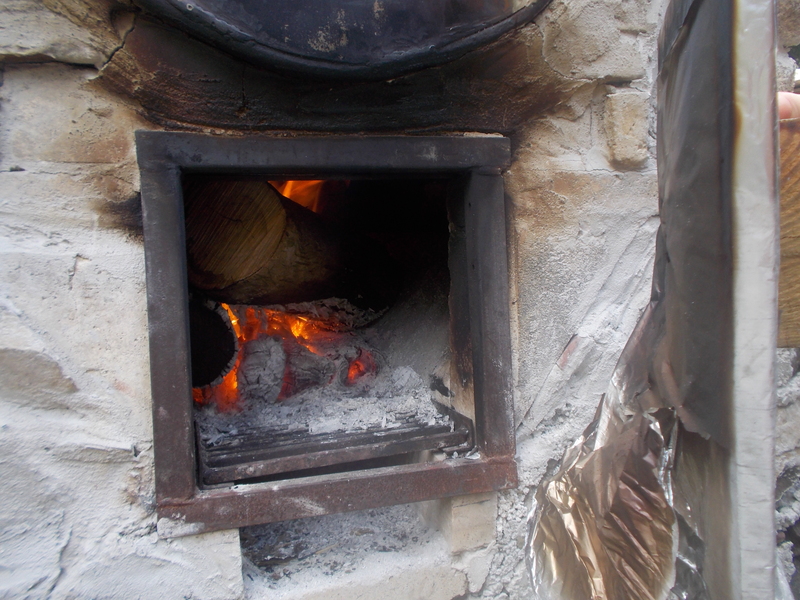 This method works well in a barrel oven, as once up to temperature the oven requires very little attention in order to maintain a steady cooking temperature. 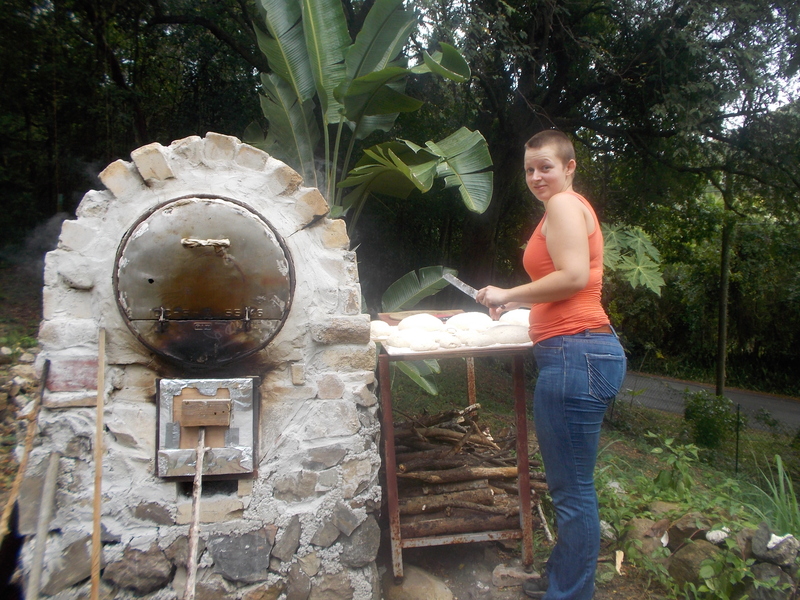 In fact, by 9am the next morning the oven was still at nearly 200deg F! 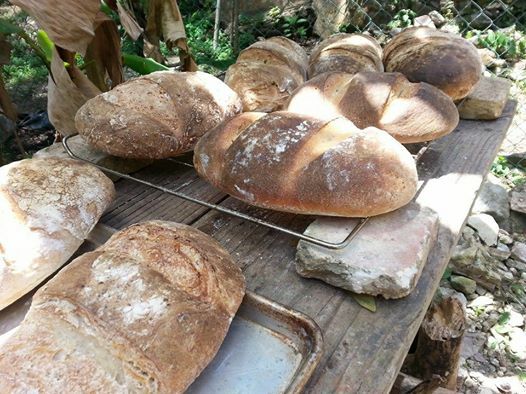 I had a number of orders for bread last week, which was extremely encouraging, though also a little scary – it being the first “real” bake day. Everything turned out perfectly, and if in doubt I’m sure that several of my customers will be happy to chime in on how delicious both varieties of bread were! 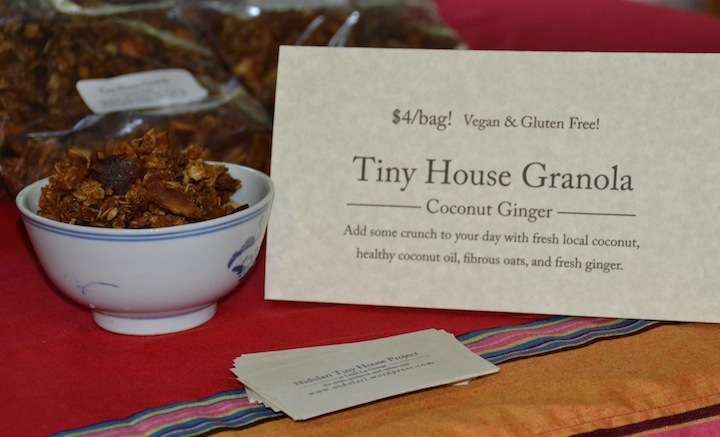 Make sure you place your order for next Saturday’s baking, or stop by in the meantime to grab a bag of granola! That’s all for now, stop back soon to see the progress on the Nid construction – when the rain stops!